Sitting at my desk. Working late. Realize why my productivity was sagging: no Fathom in my belly. 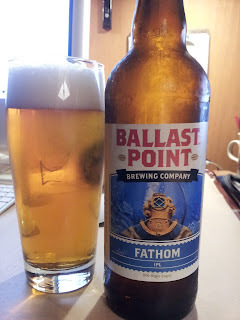 Yes, Fathom, the beer I've been raving about like a lunatic on many of my previous posts. I've been waiting patiently and it's finally here as an official release from San Diego's Ballast Point. Queue Team America logic. In case you've been under a rock for the last few years, an IPL is an India Pale Lager. Think of your favorite IPA, except with a light bodied lager base. 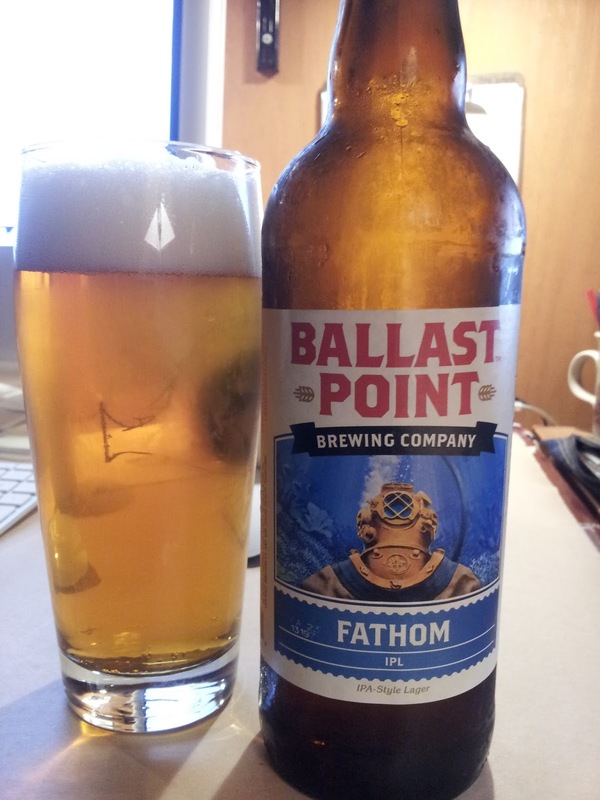 In this case I figure Fathom is basically a Longfin with the amount of hops used in Big Eye. I'll venture and say there's absolutely nothing off or wrong about this beer. It's purely delicious, and doesn't overwhelm your tastebuds. Perfection. I went all Pavlov after trying Nühell, which means we can make a nice comparison between the two. Fathom is not as dry as Nühell, which isn't necessarily a bad thing because it goes down just as easily and is just as hoppy. Nühell has a slight edge on the aromas, though; however, considering Fathom is a few NSP higher, I think we know who the winner is. Thank you, NSP rating. And... finally... thank you, Ballast Point.